The Regional Academy will host “”The Bulletproof Mind: Mental Preparation for Combat” presented by Lt. Colonel Dave Grossman, on August 20 2012. Hours are 8am – 4pm (7 hours of training credit will be submitted to the Texas Commission on Law Enforcement). The course is free to agencies within the academy’s service area (those in Hardin, Orange, and Jefferson counties). Officers from other agencies may be allowed to attend as space permits. Call the academy at 409.880.8022 to register and then confirm your registration by emailing Karen Gordon at krgordon@lit.edu. If you are not familiar with Grossman’s material a brief overview and bio are below. “The Bulletproof Mind: Mental Preparation for Combat.” Col. Grossman is one of the nation’s leading law enforcement trainers. He is the author of the Pulitzer-nominated book, On Killing. 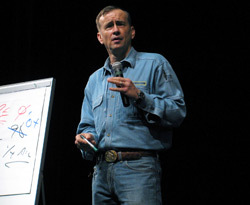 He has served as a trainer and keynote speaker for all major national and international law enforcement training organizations (including: FLETC, IALEFI, ASLET, NTOA and PPCT) and has taught the representatives of literally thousands of federal and regional agencies in the US, Canada, New Zealand, and Australia. 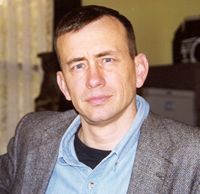 He is the author of On Killing, which was nominated for a Pulitzer Prize; has been translated into Japanese, Korean, and German; is on the U.S. Marine Corps Commandant’s required reading list; and is required reading at the FBI academy and numerous other academies and colleges. Col. Grossman co-authored Stop Teaching Our Kids to Kill: A Call to Action Against TV, Movie and Video Game Violence, which has been translated into Norwegian and German, and has received international acclaim. Col. Grossman’s most recent book, On Combat, has also placed on the U.S. Marine Corps Commandant’s Required Reading List and has been translated into Japanese and Korean. He helped train mental health professionals after the Jonesboro school shootings, and he was also involved in counseling or court cases in the aftermath of the Paducah, Springfield, Littleton, Virginia Tech, and Nickel Mines Amish school shootings. Col. Grossman is an Airborne Ranger infantry officer, and a prior-service sergeant and paratrooper, with a total of over 23 years experience in leading U.S. soldiers worldwide. He retired from the Army in February 1998 and has devoted himself to teaching, writing, speaking, and research. Today he is the director of the Killology Research Group, and in the wake of the 9/11 terrorist attacks he is on the road almost 300 days a year, training elite military and law enforcement organizations worldwide about the reality of combat.